The crossing with the smart traffic-light. Photo from Google Street View. You wonder what's so smart about it? 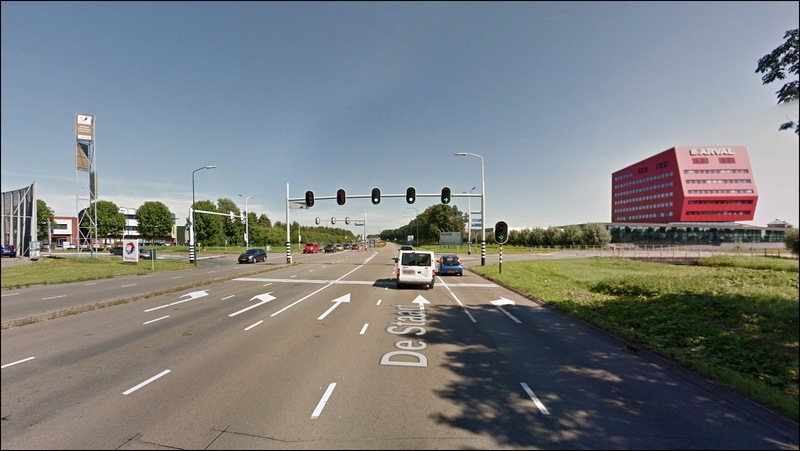 It's worth mentioning that almost all traffic-lights in the Netherlands are already fairly smart, in the good meaning of the word. They automatically switch to green based on the presence of various kinds of traffic. For that purpose sensors beneath the road are used for cars and bikes, and pedestrians use old-school buttons. How it's supposed to look like. Image from www.infoplaza.nl. 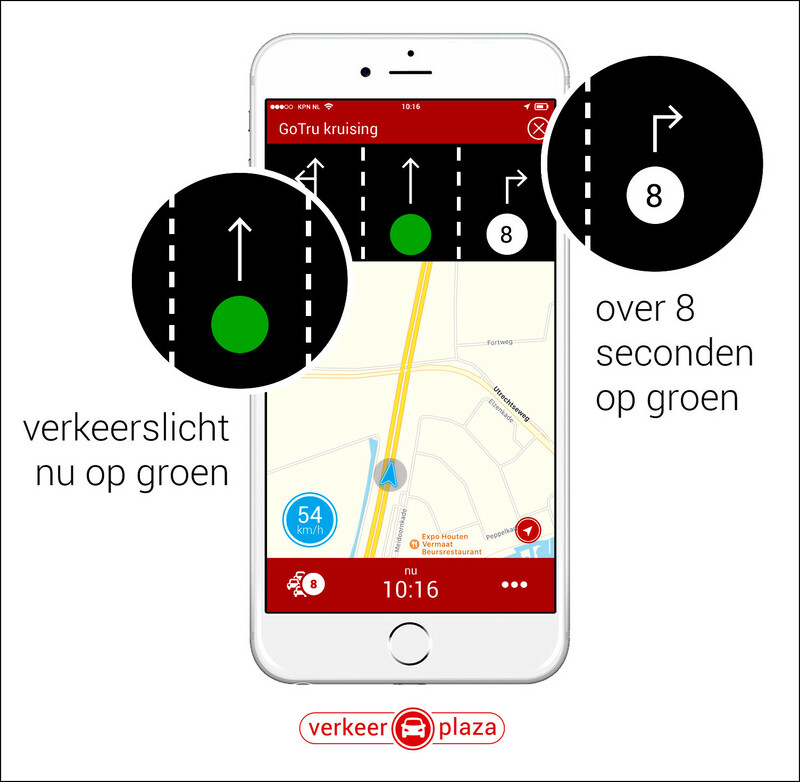 The article doesn't provide any details about the technologies used, but claims that "Verkeerplaza is the very first mobile app to connect to the smart traffic-light." It is unclear though whether it connects to the light directly (via Wi-Fi or Bluetooth) or simply gets updates from the Internet (which sounds more plausible). I would personally question the idea of looking up information in your mobile during driving. I also tend to think the police wouldn't encourage that. Displaying a countdown directly on the traffic-light would be more practical and easy to use. However, as far as I understood, the wait-time display is only one feature of this system. The government is planning to convert 1200 traffic-lights throughout the country into "smart" ones in the coming two years, and use them to collect precise traffic figures for each direction. Then this information can be used to adjust the timings on these crossings.